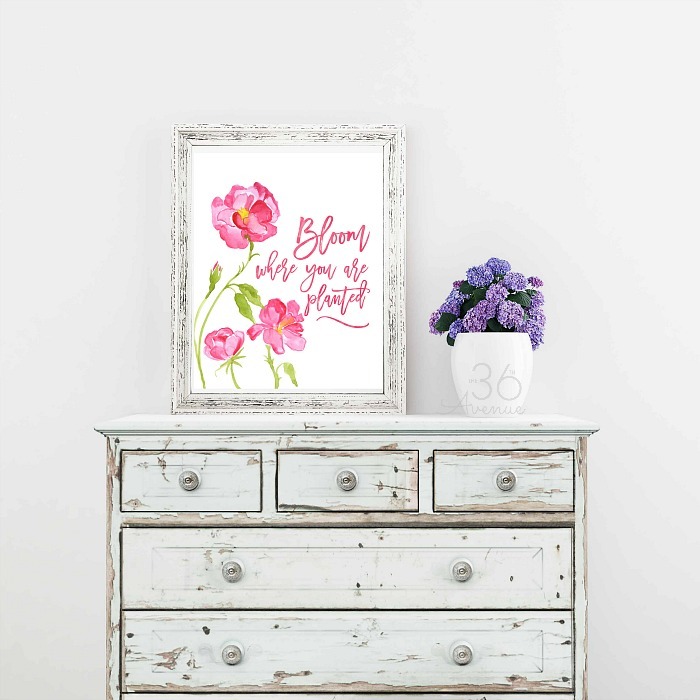 This Free Spring Printable is perfect to brighten up your home and decorate for Easter. Hi friends! Today we have this pretty Free Spring Printable to welcome the most colorful time of the year! I love seeing the trees blossom and the warm weather coming back. Yesterday my kids and I went to our local nursery and I was so inspired by the colorful and beautiful flowers around me. 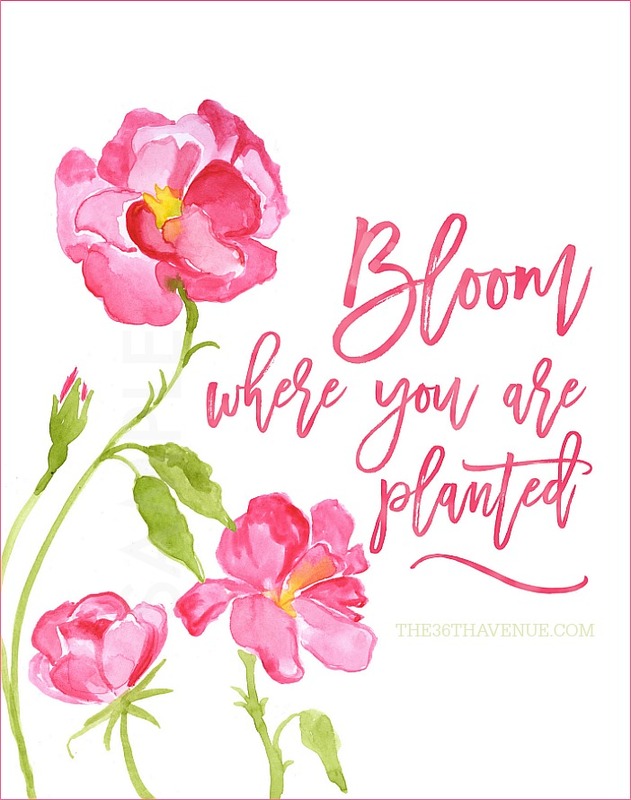 When we came back home I made this Free Printable inspired by this gorgeous and beautiful season. This is one of my favorite quotes because it reminds me that no matter what is happening in my life I can grow and I can be happy. The times when I’ve been the happiest have been when I’ve been most thankful. Gratitude is a gift and perhaps one of the greatest characteristics of a humble heart. It makes us feel rich for the simple fact of living. It puts a smile on our faces for the simple gift of giving. Gratitude makes us aware of the beauty of the world around us. It gives value to the moments that in other ways would be forgotten. Gratitude finds in everyday life a treasure; reminding us that joy comes to us in the most simple forms, such as the hug of a child, the voice of a friend, the hand of your loved ones… Gratitude makes us feel blessed instead of forgotten. Gratitude brings happiness and gives us the strength to bloom where we are planted! I love Spring Decor so much! Here are some other DIY Home Decor Ideas that you are going to love! DIY Backyard Projects are clever, affordable and easy to do. You can make them yourself and they are perfect for a weekend outdoor project. Are you ready for a quick backyard makeover? I’m sure you’ll find inspiration in these DIY ideas… Let’s take a closer look! This is such a great website. You much creativity and charm all in one spot. Love it! What a cheerful print to brighten a room!